Follow me on FACEBOOK and see what else I am up to! gorgeous! Love the purple against her blonde hair. Beautiful shot! Ande petunias are just as lovely as lavender! Awww this is just too sweet! 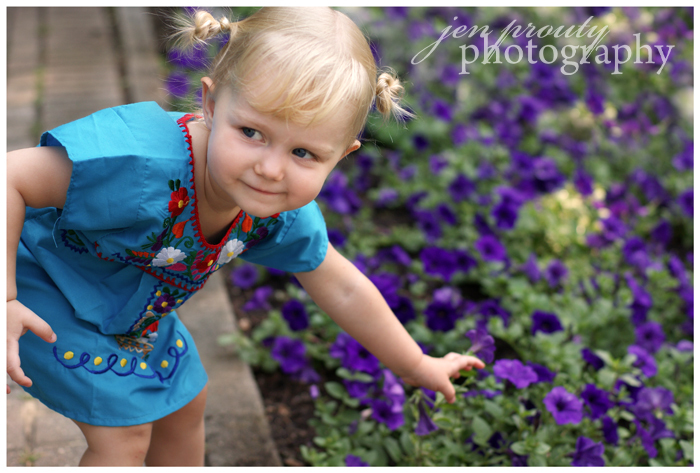 Love the little girl and those gorgeous purple flowers. Thanks for sharing! AWWW... CUTE! Love her pig tails! How adorable. Love everything about this. The colors, the dress, the flowers, the girl. Great shot.